Purist, functional and timeless design combined with brilliant technology – that’s our Excellent Line. Last year, we launched the Excellent Line Alpha, an extension series for the field of audio engineering. For the first time, the Excellent Line Alpha included DesignStands that were precisely tailored to the loudspeakers of one manufacturer. After 1.5 years of intensive development and testing phase, we were able to present the first Alpha product range in 2017: the Alpha Line for d & b audiotechnik – a complete solution for d & b speaker systems of the E, T, Q, Y, V series. From now on there is another Excellent Line Alpha series: The Alpha Line for NEXO. 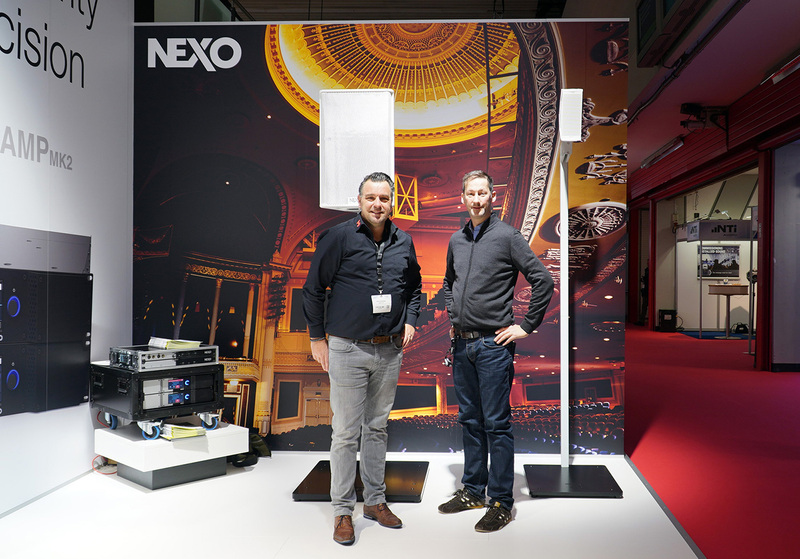 This new product line can accommodate the complete NEXO loudspeaker range, from stadium to gala. The innovation was presented at Integrated Systems Europe in early February 2018. 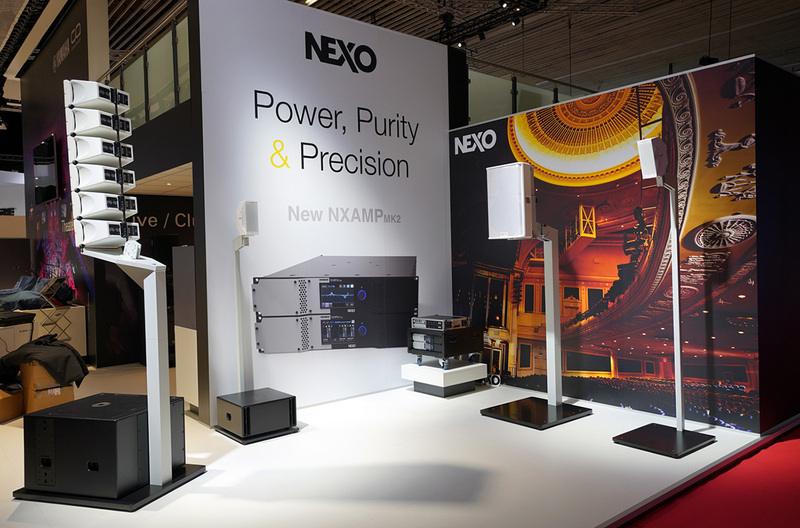 Since we have been passionately working with NEXO products for more than 20 years, the development of the Alpha Line for NEXO was a special goal. For us, the new DesignStands bring together what has belonged together for years! 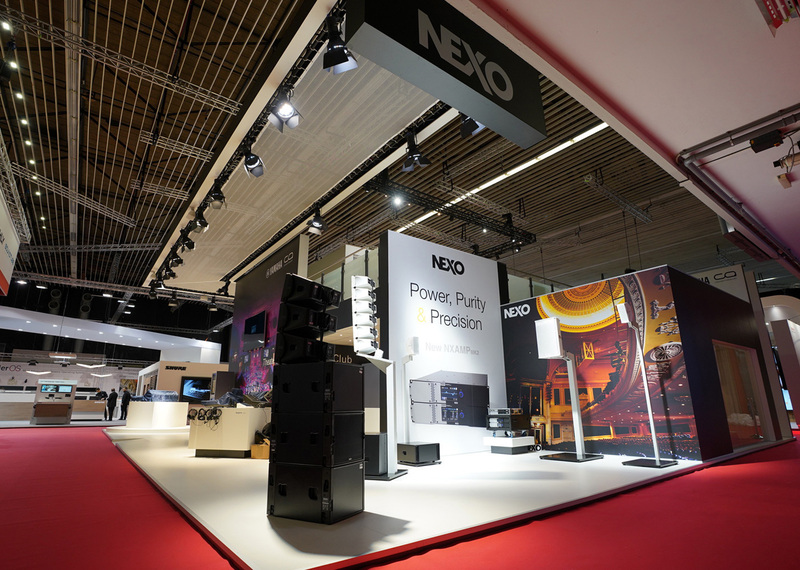 The adapter heads of the new DesignStands are specialized on the NEXO series STM / M, PS and ID. Three different baseplates accommodate the complete NEXO range of subwoofers and can be combined individually with different tops. 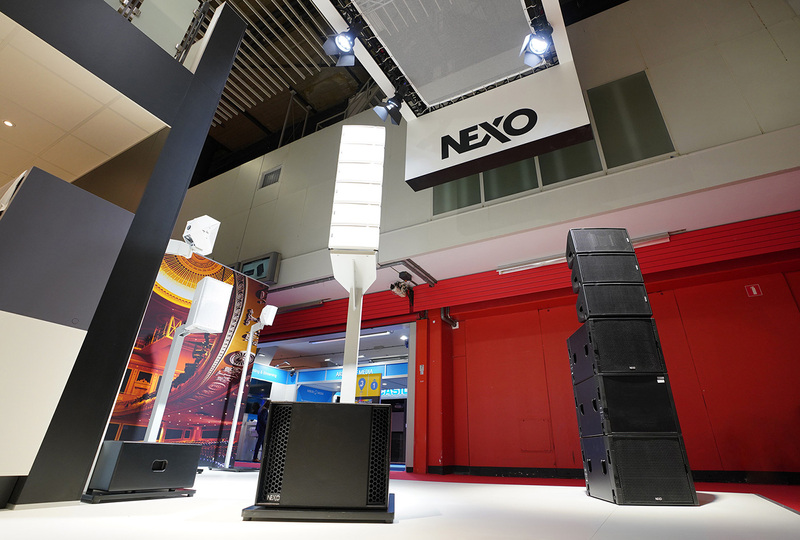 With the Alpha Line for NEXO a total height of up to 300 cm is possible. All cables and supply lines to the loudspeakers can be laid invisibly outward within the DesignStands. The Excellent Line is a developing brand, so we welcome your feedback. It is constantly being developed, used by us, but also rented out. Production and distribution are carried out by H.O.F. Alutec.